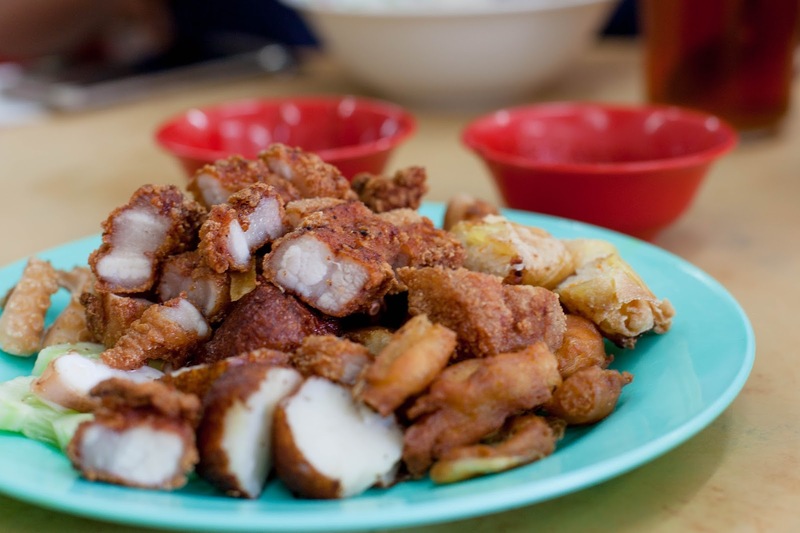 Home #foreverhungry Best Street food in Penang Malaysia Penang Penang Itinerary where to eat in Penang 5 Best Place for Street Food in Penang 2017! 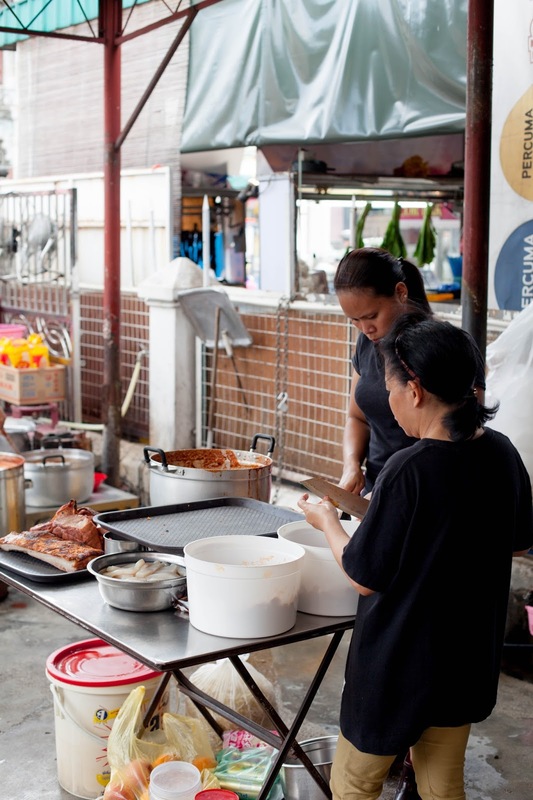 More than creative mural along the streets in Penang, this place is a food haven to many. H included too! This is a place that H would not mind going back every year. I was confused when he said that but now i understand. 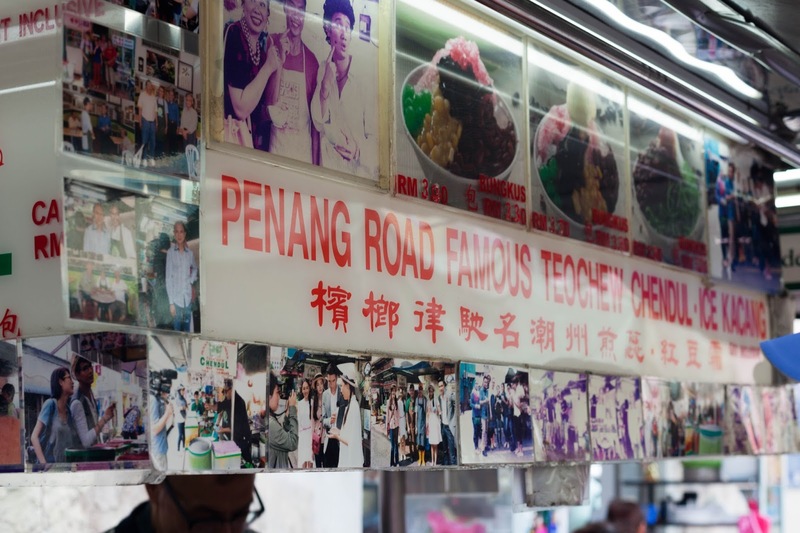 During my 3 Days in Penang, H introduced us to his favorite street food and now not-so-secret because we are sharing them! Here's my favorite! 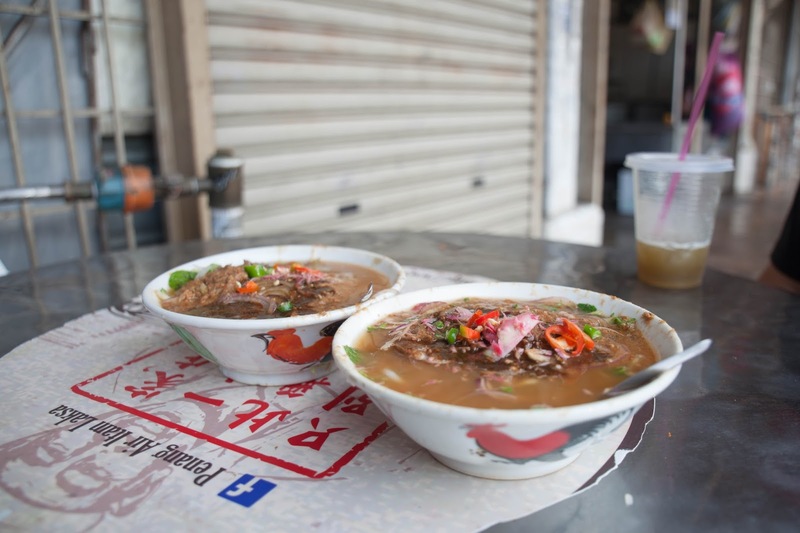 Initially, I wasn’t really keen to try out the Koay Teow soup because I thought how special could Koay Teow Soup be? They are everywhere in Singapore and taste more or less the same. However, I was wrong. This Koay Teow Soup turns out to be the best I ever had. The broth is full of flavor! With pork lard added, it tastes even better! Plus it comes with generous amount serving of EEL fishball! 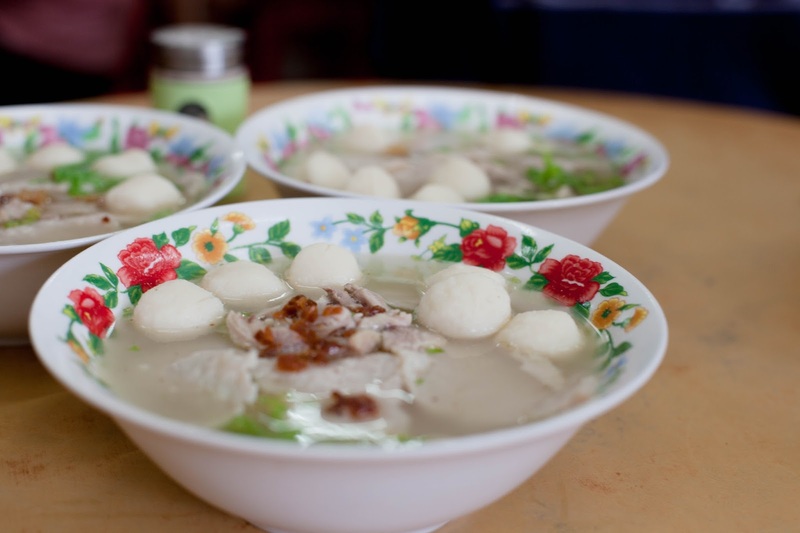 Unlike traditional fishball which tends to be bouncy, the eel fishball is denser. Also, it has a sweet finishing taste! I like how smooth and silky the Koay Teow is. Now I know why H would not mind coming back for this Koay Teow Soup every year. 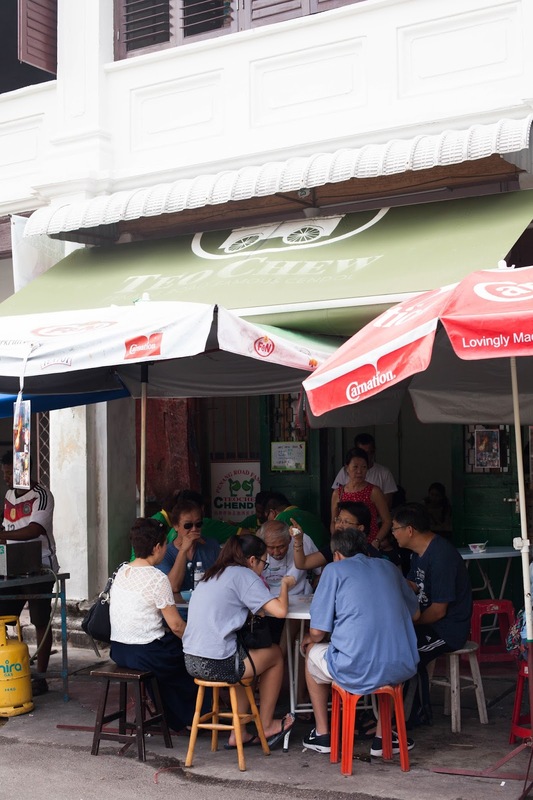 Address: 183, Carnavon Street, 10100, Georgetown, Penang. Opening Hour: 8 am to 4 pm (Tuesday to Sunday); 8 am to 1 pm on Sunday. Closed on every Monday. 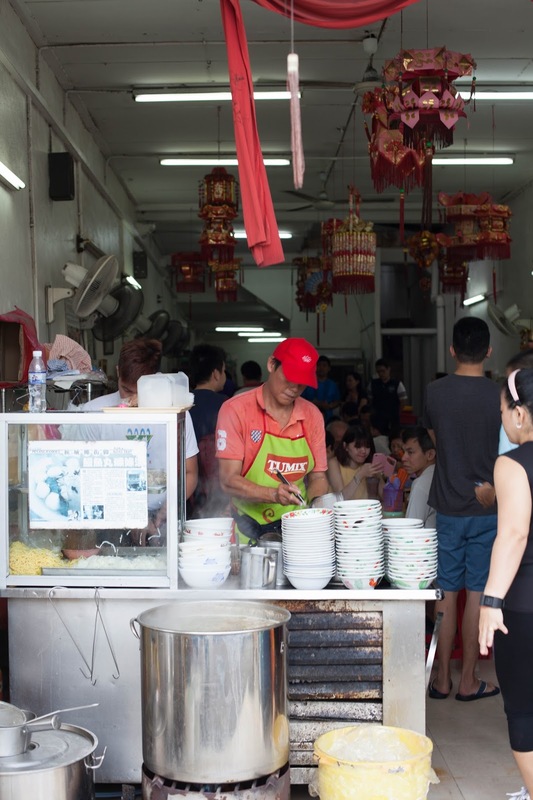 Unlike Singapore’s version of Hokkien Prawn Noodle, Penang’s Hokkien Prawn Noodle is equivalent to Singapore’s Prawn Noodle with unique chili sauce. 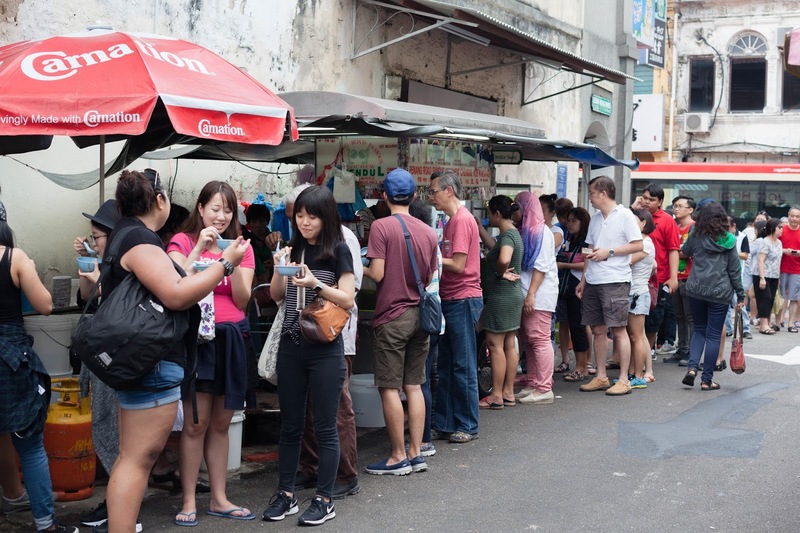 Well, of course you can have one without chili, which I personally prefer but some say without the chili sauce it’s not Penang’s Hokkien noodle. In my humble opinion, the perfect Penang Hokkien Prawn Noodle must have a very flavorful broth. Secondly, there must be lots of beansprouts as well as pork lard to make every mouth of noodle crunchy. Lastly, the noodle must be smooth and not overly cook. Usually, I will have yellow noodle with bee hoon to balance it out. I’m so glad that H introduced us to this stall. It fits what I thought should the perfect Penang’s Hokkien noodle be. The rich and flavorful broth that you can taste the “shrimp”. Plus, i love how we can add pork trotter and roast pork to it! Do give it a try when you are there! Be early if not you have to queue. 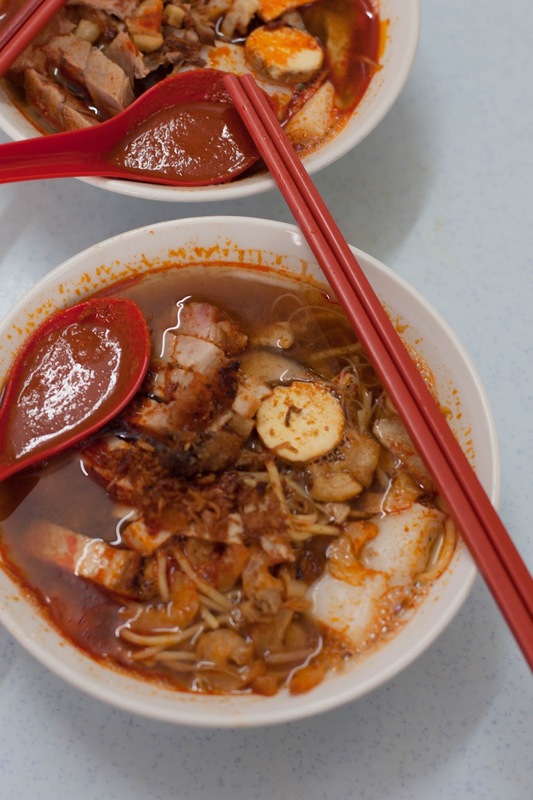 Unlike the Chao Koay Teow in Singapore, the ones in Malaysia are more savory than sweet. 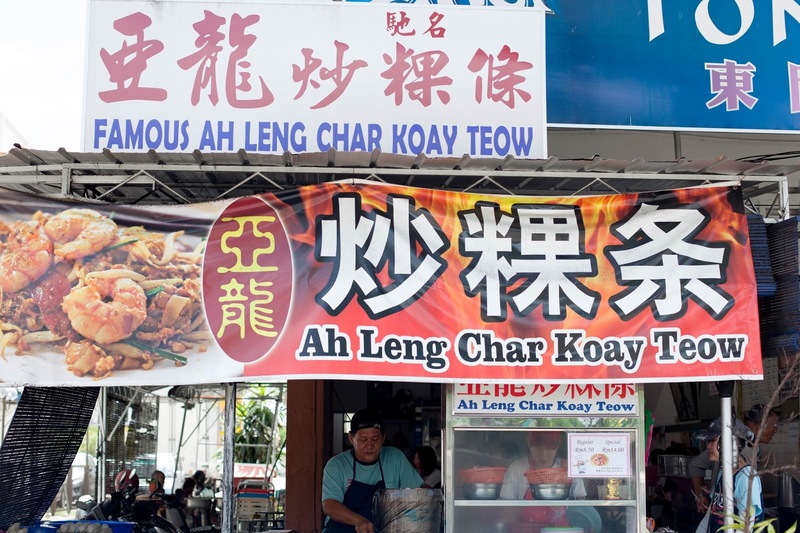 After trying Chao Koay Teow for three days consecutively, Leng’s Chao Koay Teow is my favorite. 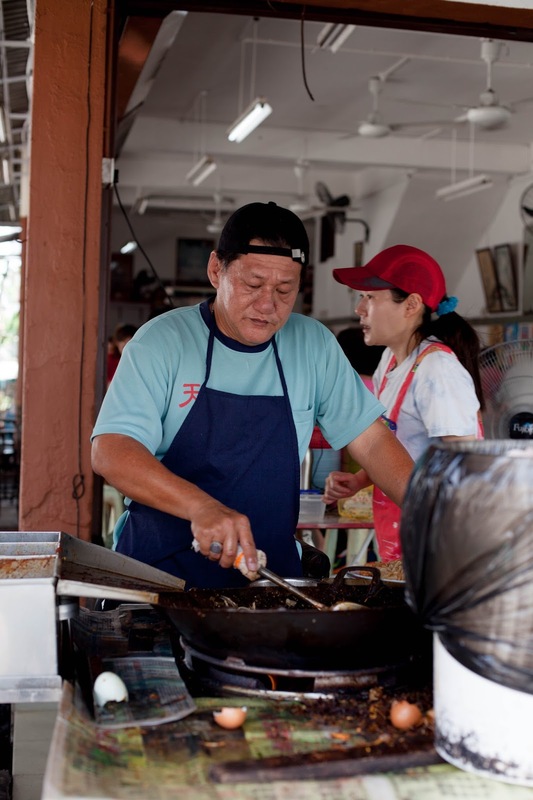 Not only it has the wok-fried taste, the spicy-salty Choa Koay Teow is indeed very tasty. Plus, we top up for duck-egg for the more “creamy” egg taste. 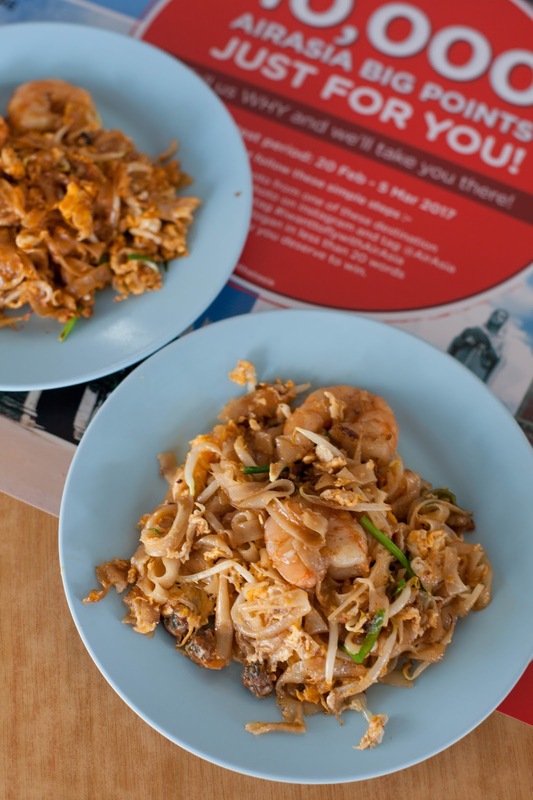 Tip: Go for the spicy plate of Chao Koay Teow over the normal plate! Forget about upsizing to special for big prawns, just top up for Duck-egg! 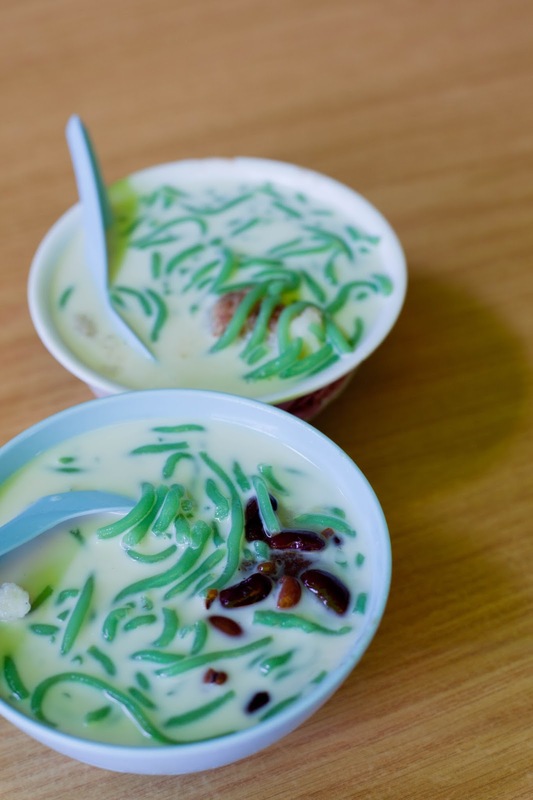 The first thing that came to my mind was Penang’s Asam Laksa when H told me the tickets to Penang is confirmed. 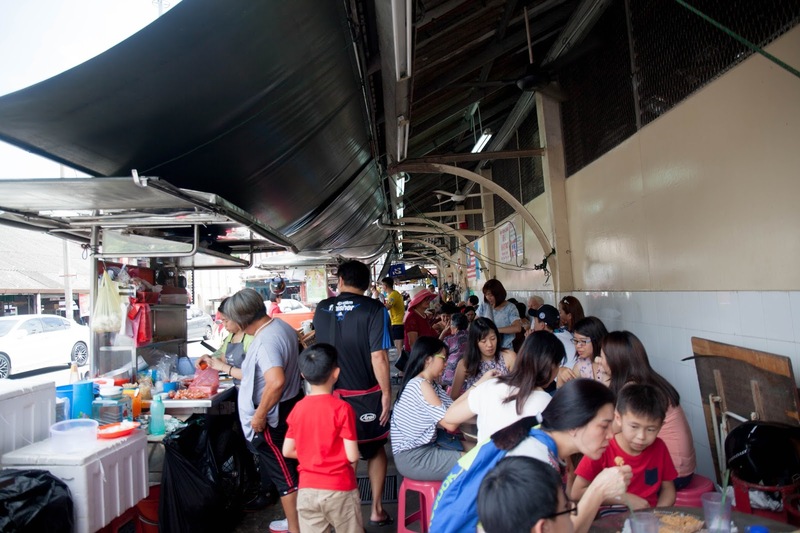 Located near Kek Lok Si temple, this place is no stranger to everyone. 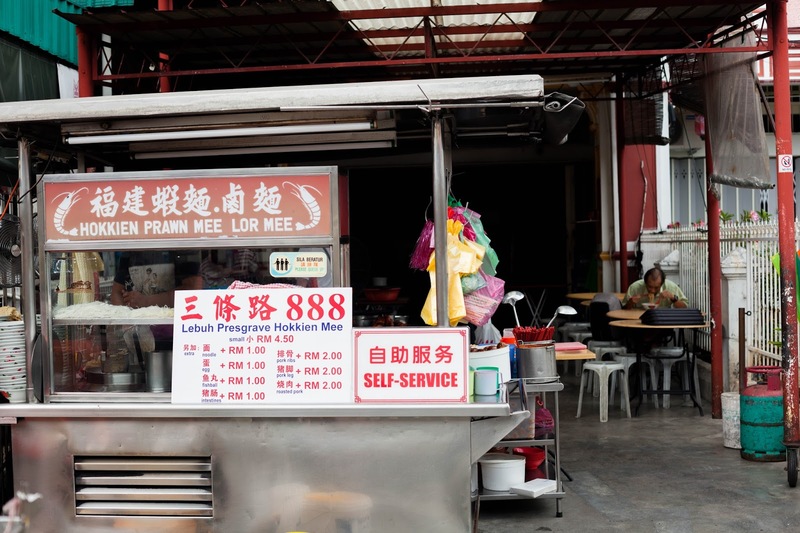 Even the driver who send us to the temple told us to come here for the best laksa in Penang! 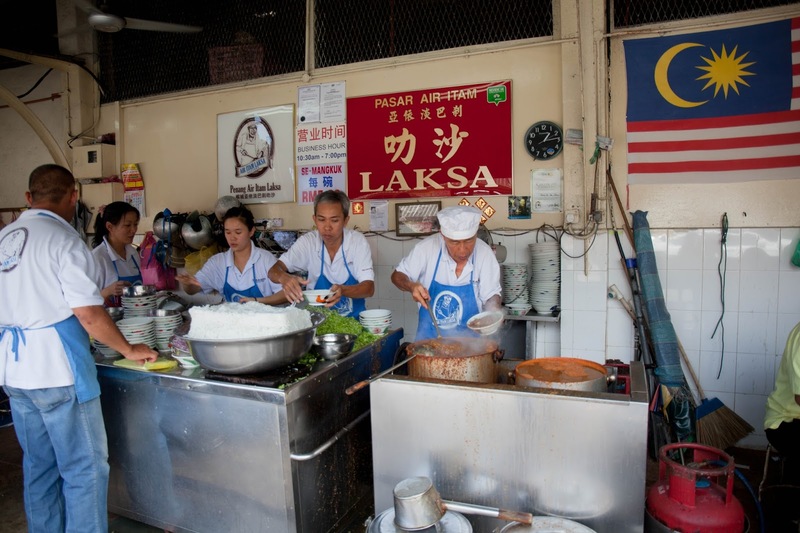 What makes the bowl of Laksa different from others is the rich shrimp-fish broth that is not overly spicy or sour. It makes it very appetizing! Plus the rice noodle was smooth and goes really well! Sedap! Although H may disagree with me that this is the best, I thought it is pretty good because I can’t take spicy food well.